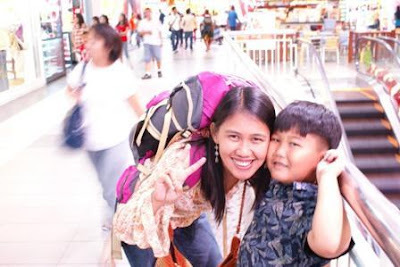 My kid and I have been traveling much from Mindanao to Luzon and he has his own fair share of traveling my air, land or sea. It is never easy to travel with kids knowing that they can just be impatient, and get tired so easily. I am only grateful that during his entire time as a kid, he never really throw any tantrum or fit most especially during travel. 2. Carry first aid kit. It is always handy when accidents like cuts, bites or burns may occur. 3. Keep a separate bag for your kids' things so you can easily access their things. 4. Plan your trip well with due consideration on what your kid must go through. If your kid gets dizzy with the ferry, an anti - dizziness for kid medicine can be consulted with his pediatrician. If he gets uncomfortable with closed tight - buses, a hired vehicle can be a better option. 5. Orient your kid with your travel IT. This will help your kid condition his mind that fun is still possible even if you are to travel around. 6. Engage your kid in a game or conversation, so, he won't be easily bored.